Participate in the Fall 2018 Children's Fashion Show. See an associate for details. View the latest collection of evening wear for Spring 2018. Enjoy informal modeling and light refreshments. 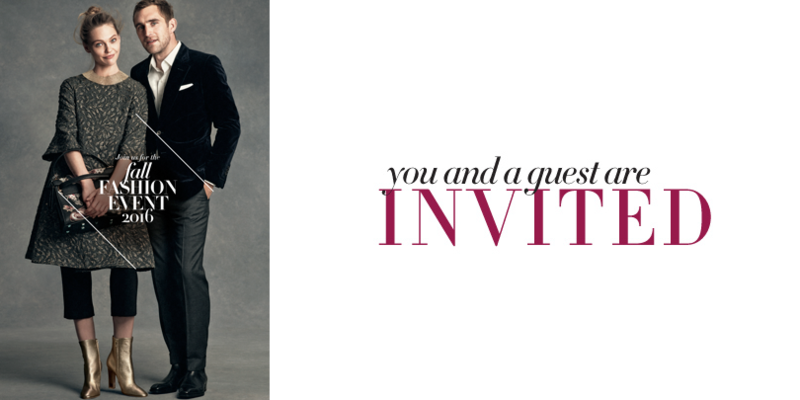 Receive a gift with a purchase of $350 or more in regular-priced evening wear. Receive a Le Metier de Beaute Moisture Matte Lipstick Trio or Ultra Replenishing Solution with any regular-price purchase of $350 or more in The Man’s Store, Women’s Apparel (including Intimate Apparel), Accessories, Ladies’ Shoes, Handbags and Jewelry.